It was 20 years ago today that Mark Hollis told the band to play… extremely quietly and with an absolute minimum of flash. It seems extraordinary that two full decades have now passed since the former Talk Talk leader released his first and only solo album – a sparse, acoustically-oriented collection of eight songs that both announced his arrival as a solo artist, and – alas – ultimately presaged a total career silence that now seems unlikely to be broken. Spool back to the start of the century and it would be accurate to say that – outside of a core group of aficionados – Talk Talk’s final two LPs, Spirit of Eden (1988) and Laughing Stock (1991), had yet to receive widespread recognition as being among the most brilliantly creative albums ever released. In 2018, after several reissues, a tribute album and book, and extensive coverage in broadsheets and music monthlies, that oversight can be said to have been fully addressed. The canonical status that these two albums now enjoy rests upon two primary factors. First and foremost is their highly original nature, blending elements of modern jazz, classical music, blues and (admittedly pretty far-out) rock into a spacious whole that entirely belies the time-period of its creation. Whilst Spirit of Eden was a dramatic departure from the more traditionally song-based Colour of Spring (1986), Laughing Stock was a further refinement of this new experimental approach, at times evoking the mighty Can in terms of its overall sonic character. Secondly, there is the monumental act of defiance that they appear to represent, both to a specific label (EMI, which had released TT’s albums prior to Spirit of Eden and was expecting that album to be of a significantly more commercial nature) and to the industry as a whole. Forget demographics and narrow perceptions of what is and isn’t acceptable to a mass audience, these albums seem to say. The only path to take is to be true to your creative instincts and follow them wherever they may lead. Hollis’ primary collaborator on the last three TT albums, producer and co-songwriter Tim Friese-Greene, has observed that once they had hit upon the one-note, two-minute guitar solo that roars right through the middle of Laughing Stock’s ‘After the Flood’, he knew that this was the last album they would ever make together. And so it would prove to be as the Hollis/Friese-Greene partnership quietly dissolved, without any fanfare, during the seven years that elapsed between the release of Laughing Stock and Mark Hollis. During the long gap, Hollis reportedly learned notation, having previously been unable to write or read music. This certainly makes sense in the context of the more composed-sounding Mark Hollis, where dense arrangements underpinned by acoustic guitar, percussion and woodwind supplant the more electrically-oriented approach of the final two TT albums. Here, above all, is a sense of time passing and a willingness to let it pass. In one sense, it is an entirely-unhurried sounding album; in another, its message about the essential humanity of everyday actions and occurrences could – in the context of present events – hardly be perceived as being more urgent. Although Mark Hollis is very much of a single mood, it is also an album of remarkable individual moments. For example, the most significant section of ‘A Life (1895-1915)’ – whose title alludes to Roland Leighton, a British soldier and poet who was the fiancé of Vera Brittain, at the time of his death in World War I – is mesmerisingly borne aloft by tentative-sounding woodwind, piano, percussion and a French vocal chorus. Contrastingly, it is Mark Feltham’s scorched-earth harmonica – a defining component of later Talk Talk – that distinguishes the more intense ‘The Daily Planet’. 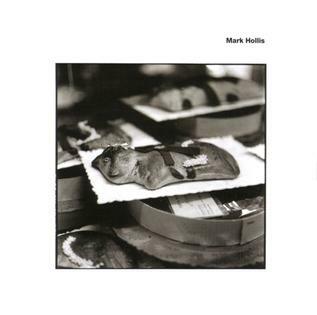 Beautifully recorded by the great Phill Brown – primarily with a pair of vintage Neumann mics at the front of the predominantly small ensembles in order to capture both performance and natural room ambience – Mark Hollis appeared to rave reviews but limited sales in the first month of 1998. Fatigued by his experiences with the record industry, and also seemingly feeling that he had said what he wished to say, Hollis withdrew from the industry after a few small production gigs (including a couple of tracks with Anja Garbarek) in the early 2000s. Hollis is now 62 and, by most accounts, he has zero intention of returning to active service. It is arguable that the signs were there for all to see given the phenomenal stillness and quiet of this album, whose closing track, ‘A New Jerusalem’, ends on a decisive-sounding chord and is followed by nearly two minutes of silence. I have gone where I wished to go – into a realm of pure music, pure sound, the track seems to suggest. What else is there to do? Twenty years on from its release, Mark Hollis is more compelling, more affecting than ever before, not least because of the vivid contrast its sustained reflective mood provides against the churning, unrelenting noise of modern life. And by so doing it seems also to ask a question to which there is no easy answer: could it be that the only reasonable reaction to a world gone mad is to retreat into silence…?